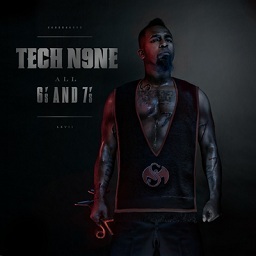 With “He’s A Mental Giant”, Tech N9ne gave All 6’s And 7’s an instant classic. Taking a closer look at both the single and the music video, GhettoPunkRocker.com recently published a review which explains many of the themes behind “He’s A Mental Giant”. Tech’s own larger than life personality carries the track, and the Wizard Of Oz theme in the video makes it one of the most unique hip hop videos in years. Charging through the industry, Tech N9ne is undoubtedly walking tall.